Detectives are treating an attack on a man near a Glasgow pub as attempted murder. 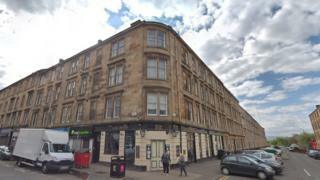 Police said the 21-year-old was assaulted near The Duchess bar on Duke Street, Dennistoun, at about 00:10 on Friday. The victim was with another man when he got into a fight with the suspect, who was with two friends. He was taken to the city's Royal Infirmary with a serious head injury and has since been released. Officers are carrying out door-to-door inquiries in the area and examining CCTV footage from the area. Det Con Cameron Wilson said: "There are several bars and take-aways in this area and it's generally pretty busy with pedestrians and traffic. "From inquiries carried out so far there were several members of the public in the area around the time of the incident and I would appeal to them to contact us. "Someone may have seen the group of men prior to the incident taking place or they may have witnessed the attack. Please, if anyone has any information, do contact us." The suspect is white, aged 20-25 with short dark hair and was wearing a grey Nike hooded top.